Chiswick is located just outside central London and yet boasts plenty of lush green space and is within walking distance of the river Thames. Chiswick features fabulous boutique shops and a Michelin Star restaurant, as well as many other well known restaurants dotted along the High road. Chiswick is a highly sought after area for families, thanks in part to the quality of housing; a combination of Georgian, Edwardian and Victorian houses and villas. Chiswick nightlife revolves around laid back pubs and wine bars. There’s also a cinema and a small theatre which stages everything from Shakespeare to experimental performances. The Bollo House is a large pub located on Bollo Lane with a traditional and cosy interior. Their quiz night is allegedly very good fun making the pub a popular local. The open green spaces of Chiswick are just one of the many reasons the area is so popular. One of its more famous gardens is that of Chiswick House. Chiswick House Gardens are centuries years old and are reported to be the inspiration behind New York’s Central Park. Next to the river is King’s House Sports Grounds, a 35 acre site containing various sports pitches and athletic tracks, ideal for those who enjoy playing team sports or practising athletics. Chiswick has a selection of bijou boutiques, quality eateries, cute cafes and delicatessens which reflect local tastes. Chef Michael Nadra worked in some of London’s best restaurants before opening his own. The restaurant offers exquisite food at reasonable prices and has a great Tasting Menu that showcases chef Nadra’s skills perfectly. Family run Fosters Bookshop is an independent bookshop specialising in antique and collectible books. It’s an ideal place to find a special gift for a book lover. The quality of primary education in Chiswick is generally very high. Most of the schools exceed local and national averages for key stage 2. 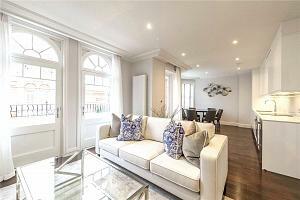 Sought after schools include St Peter’s, St Mary’s, William Hogarth School and Belmont Primary School. Chiswick has good transport links into central London and a number of underground stations to choose from. Chiswick is just 15 minutes from London Heathrow, with easy access to the M4 and A4. "With its wealth of restaurants, coffee shops and a charming village feel, Chiswick is a popular location for both young families and professionals who are seeking a good quality of life." 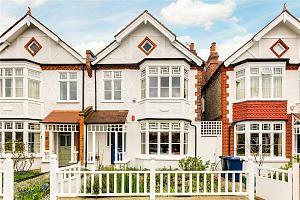 If you are looking for a property in Chiswick, please get in touch by calling us or pop into our branch. 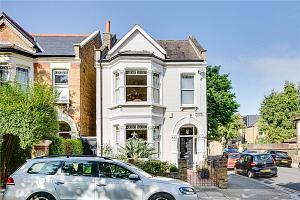 For more information, contact the local property experts in our Chiswick branch.